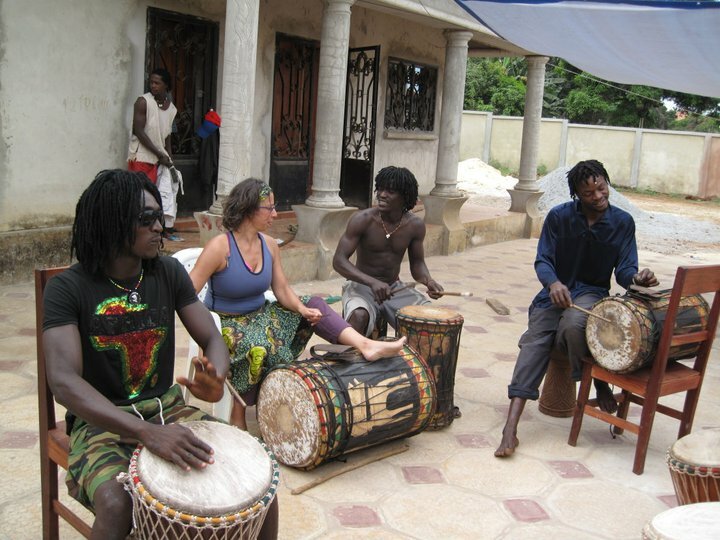 Study Dancing and Drumming in Guinea, West Africa with Mandjou Mara! 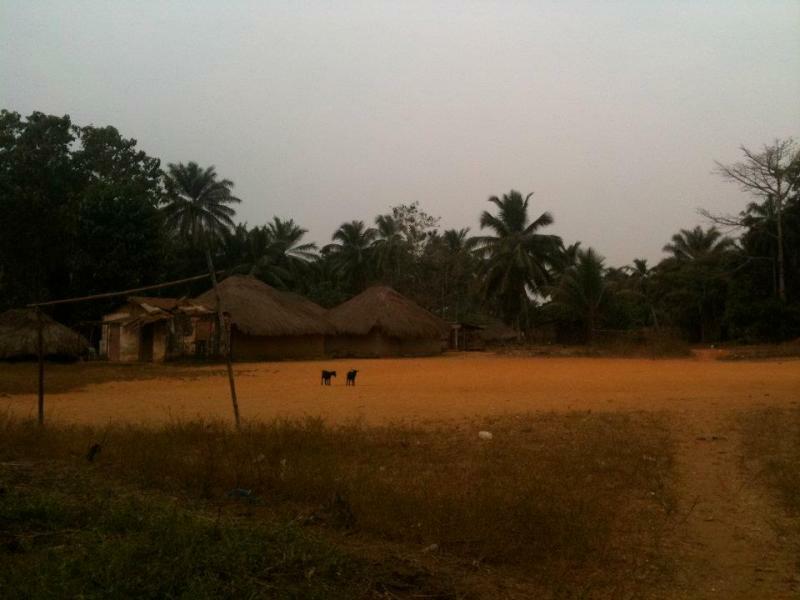 Spend 2-3 weeks soaking up Guinean culture! Study traditional djembe music and dance with professional dancers and drummers. Eat delicious, homemade Guinean food. See Guinea’s beautiful natural wonders including waterfalls, beaches and islands. Experience traditional and contemporary dance parties. 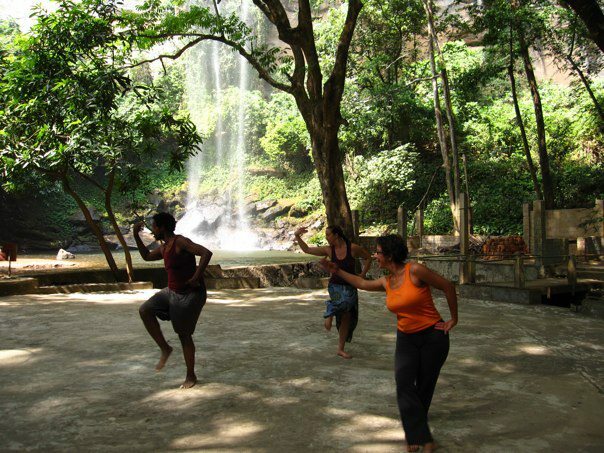 Enjoy the sun as you take your dancing and drumming to the next level. $500* per week includes drum and dance classes, room and board, airport pick up, and trip(s). *Student rate $475/week. Returning students $450/week. Register and go with a friend for $75 off your total, for you and your friend. Contact us for details. Visas and vaccinations are required! Contact us for registration information! Students will generally have two classes of drum instruction﻿ and two classes of dance instruction per day, except when traveling and on weekends. Private classes are available by request, for an additional fee. Lunch: rice and sauce (consieh (peanut butter), yeh tinseh (tomato), woureh or tadeh bourehreh (greens), marahoulanyi (eggplant)...) These usually include fish. Let us know your dietary needs. Dance class by La Voile de la Marie. One of the excursions. This one was to the island of Roume. Special Class: Learning Guiena's traditional dyeing techniques. 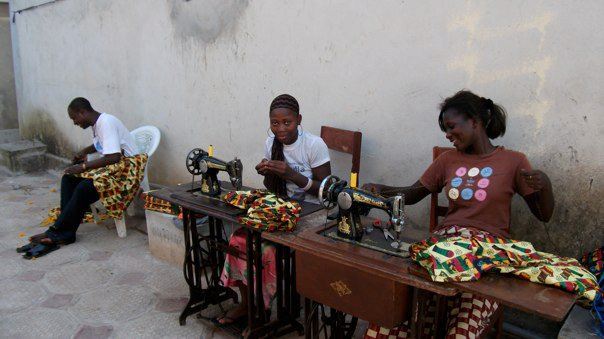 Bamba, tailor, drummer, dancer, balafonist, and his apprentices making unique, not to mention swank clothing, just for you. 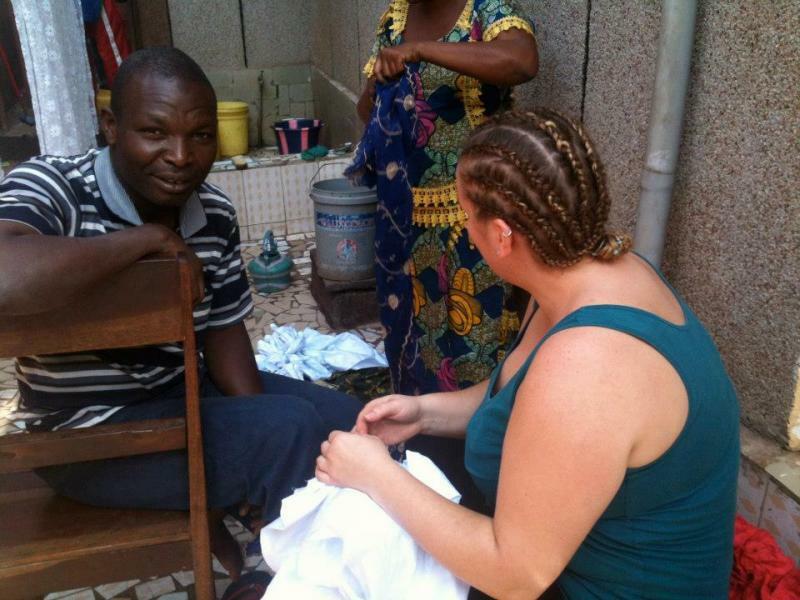 "Mandjou has a crew of genuine and friendly musicians and dancers, great cooks, in-house tailors, and many other fine folks that made my time in Conakry eventful and fun. 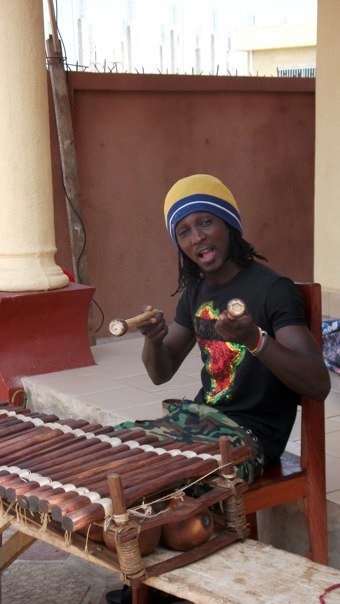 Mandjou is very connected in Conakry - he sings and plays in many different niches, giving us a view of the full spectrum of music in Guinea. I can't imagine a more musical experience in Africa. Classes were challenging and fun, and the teachers were full of encouragement towards us. My favorite part was the sense of community and friendship in Mandjou's crew. I can't wait to go back!" Use your dance skills at doundounbas and sabars. Guinea has many beautiful natural areas. 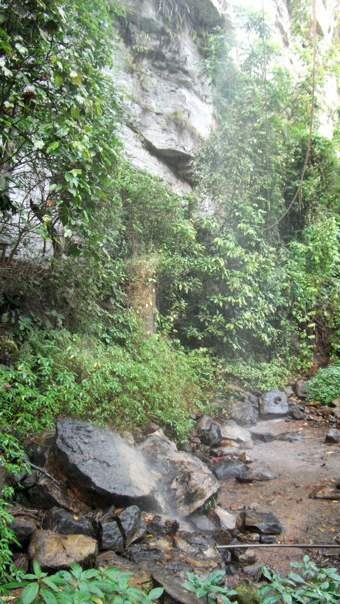 This is La Voile de la Marie, a waterfall near Kindia. Learn to play traditional dunduns which include playing the bell, in addition to djembe classes. Additional classes can be arranged for other instruments. Ansu asks, "Why not?" Woureh bourehreh- sauce made of sweet potato leaves, tomatoes, palm oil and fish. Purified water comes in bags. Drink no other. No joke.